WordPress design opens huge possibilities for both designers and developers. Whatâ€™s more, you can bet this isnâ€™t just a passing fashion. WordPress is really great and itâ€™s definitely here to stay. If you havenâ€™t jumped on the WordPress wagon by now, youâ€™ve certainly missed a lot. Donâ€™t worry, itâ€™s never too late to join. If you’re a designer (be it graphic or web) and you’re considering switching to WordPress, here is some advice to help designers new to WordPress. I donâ€™t know if this is true for most designers, but I get the feeling the biggest hurdle they face when they become WordPress designers is code. I donâ€™t remember this being a problem for me back in the day when I first got my hands dirty with WordPress design, but Iâ€™d had some coding experience with Java and C before I became interested in WordPress design, so to me PHP wasnâ€™t a monster. Maybe because of this, itâ€™s hard for me to understand how a designer, especially a web designer, who must be familiar with code like HTML and CSS can freak out at the sight of PHP code. However, I know many designers, some of whom are way better designers than me, who simply canâ€™t deal with this horrible PHP monster. For instance, this article explains why for some graphic designers WordPress code (and WordPress itself) is way too much. So, if you are going to be a WordPress designer, you should learn some PHP. Of course, you can do without it if you work closely with a WordPress developer. You can always count on them for assistance, but you can easily become dependent on them. On the other hand, the fact that many designers are learning to code doesnâ€™t mean you must do this as well. If you really hate code, you don’t have to force yourself to do something you’re not enthusiastic about. You just need to decide if, for you jumping into WordPress design is a good idea or not. After all, even if you force yourself into doing it, just because everybody else is doing it, it might turn out there that there is too much pain and not so much gain. This is simply pointless. After youâ€™ve bravely decided you can handle some (or more than some) PHP code, the next step is to get familiar with the structure of a WordPress theme and the way WordPress functions in general. Fortunately, there is a lot of information about this. For instance, this post is a nice and easy introduction to the internals of a WordPress theme. While you wonâ€™t become a theme guru after reading it, itâ€™s a good starting point. You might also want to check this reference for more details on WordPress CSS. If you come from web design, then you should already know some CSS. The good news is that most of this knowledge is reusable. In other words, the CSS you know from static sites is the same youâ€™ll use with WordPress. However, thereâ€™s also WordPress-specific CSS you canâ€™t do without. Check out this tutorial for more information abut CSS classes and IDs. Unfortunately, there isnâ€™t a definitive guide on the topic simply because thereâ€™s a lot of theme-specific CSS you need to discover on your own. If CSS is too much for you, there are drag and drop frameworks. However, my honest opinion is that they are not for professional designers. These frameworks are good for the quick and dirty job, but if you want to create real designs, there is simply no way to do it without manually coding CSS. One of the best ways to learn WordPress design is by examining the internals of existing themes. The key here is to pick good themes – youâ€™re not going to learn from the bad designers, right? I am not going to recommend a particular theme, because this is very subjective. 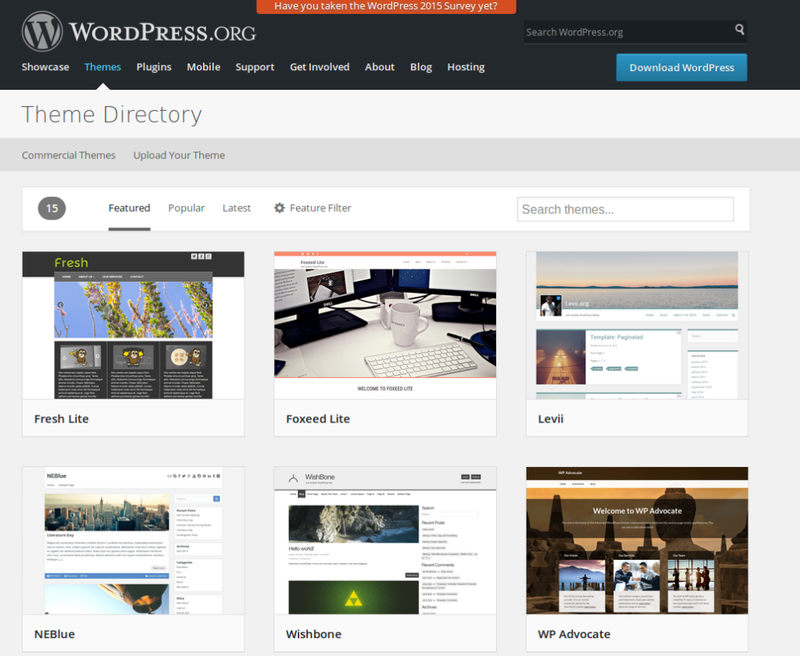 Rather, I would recommend to go to the official WordPress Theme Directory, download a bunch of the popular themes. Install them and test them, and if youâ€™re pleased with the look and feel or a particular theme, then you can start dissecting it and learning. WordPress is ever changing and if you want to stay on top of it, you do need to read a lot. New WordPress versions are being released all the time. If you add plugins and themes to this, thereâ€™s a lot to follow. Of course, itâ€™s not realistic to expect you’ll know everything about WordPress (you donâ€™t need to), but you do need to follow at least the major changes. If you enjoy WordPress, youâ€™ll most likely enjoy reading about it as well. In addition to WordPress blogs, WordPress forums are another resource to check. These are great places to exchange ideas and experience with other WordPress designers. In a good WordPress forum, such as the ones at WordPress.org or WordPress.com you can learn a lot by simply reading the questions other designers, developers, or ordinary users are posting. A career in WordPress design can be very rewarding. WordPress is the most popular CMS platform on the web, for good reason. However, if you genuinely donâ€™t like WordPress, there’s no point forcing yourself into it. This is why you really need to give yourself an honest answer to the question – is WordPress right for you? If you do feel WordPress offers you a lot, get serious with it. You might have to spend long hours in front of a computer, but when you love what you do, itâ€™s easier to overcome the difficulties.